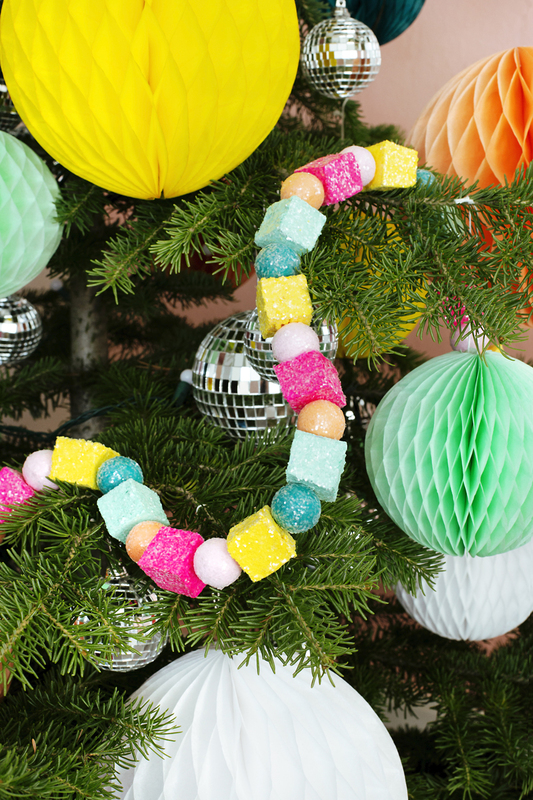 This DIY Sugar plum Christmas garland is the most colorful way to decorate a tree or deck the halls for this holiday season. 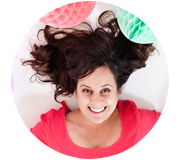 It’s an easy Christmas craft to manage and creates a sugar plum look that is filled with vibrant fun. Last year, in looking for a healthier alternative to store bought gummies, I made some not so tasty, homemade (organic fruit juice) sugared gummies. 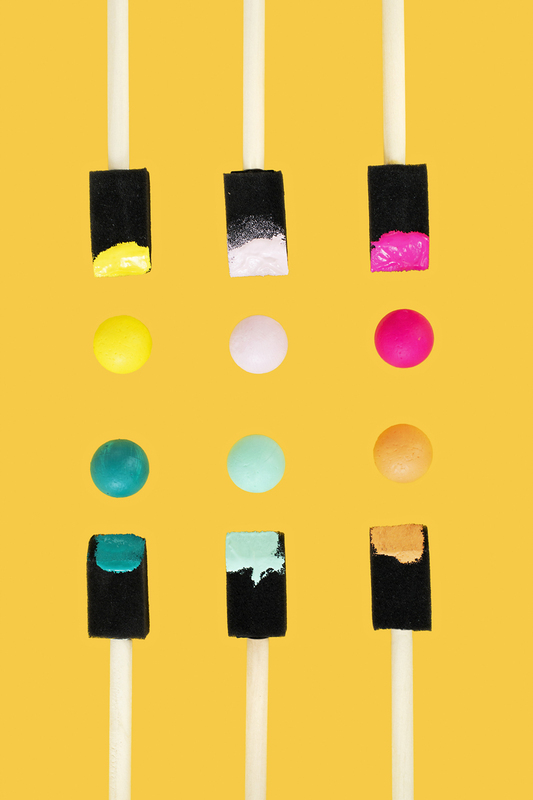 What they lacked in taste (they were so gross…), they held in colorful beauty. Together the colors and sugar, were SO pretty. 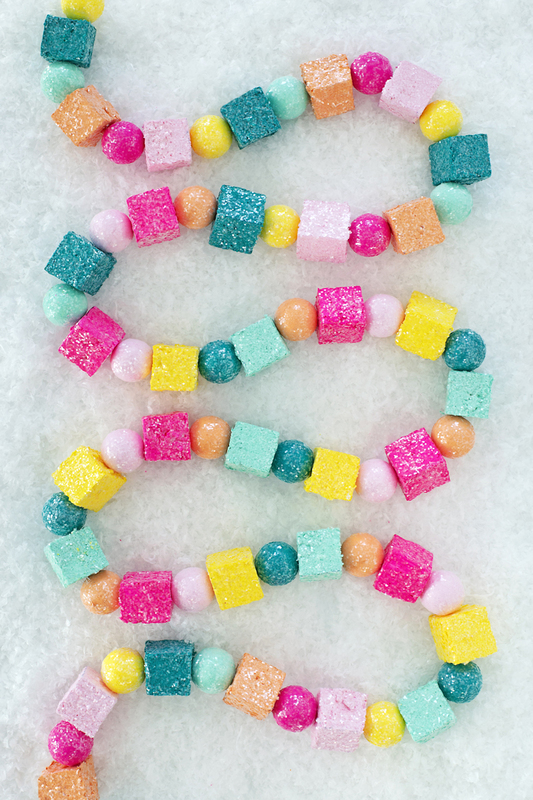 So instead of disgusting homemade gummies, how about a Christmas garland that mimics the beauty of the sugared gummies? Step 1: I couldn’t find square smooth foam cubes in the US. Apparently smooth foam only sells cubes in the UK. So if you’re from the UK, lucky you, because you can skip this step. But if you aren’t lucky enough to live in the UK, you are going to have to make your own cubes. 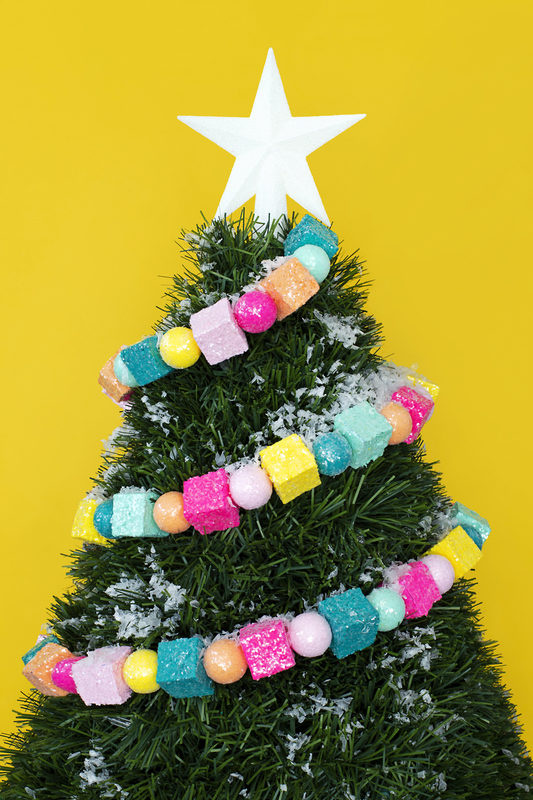 To create the sugar plum Christmas garland sugar cubes – I bought a 1 inch thick smooth foam sheet, thick enough to match my 1 inch balls, and I very CAREFULLY cut cubes using a very sharp razor blade. Step 3: Before the paint dries on your last coat, roll your freshly painted foam in glitter. Be generous. The more glitter the better. The glitter is what creates the sugared look on this sugar plum Christmas garland so you want lots of it in play. But be sure to roll/dip/sprinkle the glitter on the foam, BEFORE the glitter dries. Doing this step avoids having to do an extra step of modge podge, or something similar, to hold the glitter. Step 4: Let the foam balls dry over night, so that the glitter sticks to the paint completely. Step 5: Using a needle and some twine, string the foam, alternating balls/cubes, to make the sugar plum Christmas garland. Step 6: Vacuum the glitter haha. ;) Because I’m not going to lie, you will have glitter everywhere! 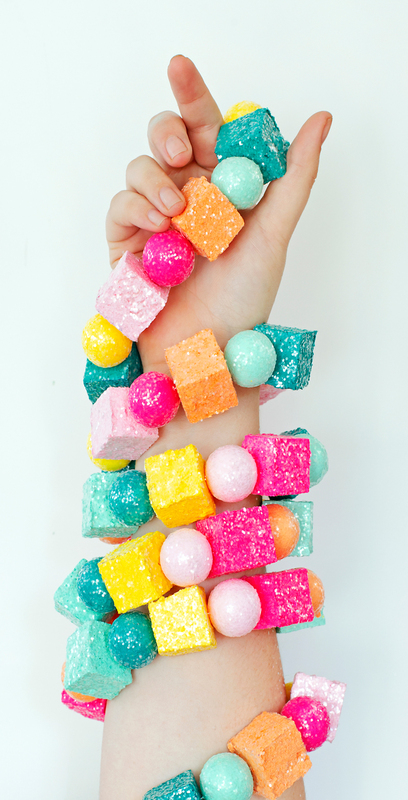 After your glitter bomb is vacuumed, hand your garland somewhere for all to see.